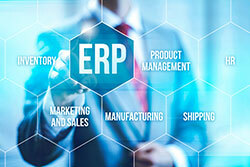 KPGTC with its prominent expertise and experience in implementing opensource based ERP systems, helps our customers in defining and integrating expert strategies and solutions in-line with their business objectives and across different verticals. Our dedicated and strategic R & D team with continuous innovation is our key in developing customized solutions, challenging enterprise level integration with heterogeneous systems, legacy system migration and enterprise mobility solutions. We help organizations in crafting their mobile roadmap or developing enterprise apps.KPGTC has the expertise to guide your mobile enterprise strategy and deliver secure, stable, scalable apps which can be integrated with any Enterprise systems. We’re well versed in creating performant backends that drive everything from mobile data visualization applications to scalable solutions for video streaming. We deliver highly customized enterprise security solutions that help cut costs on redundant software, improve processes, and make your security initiatives more efficient. Cross-platform means much more than just a different OS or screen size. Cross-platform means true mobility, with consistent user experiences across all areas.